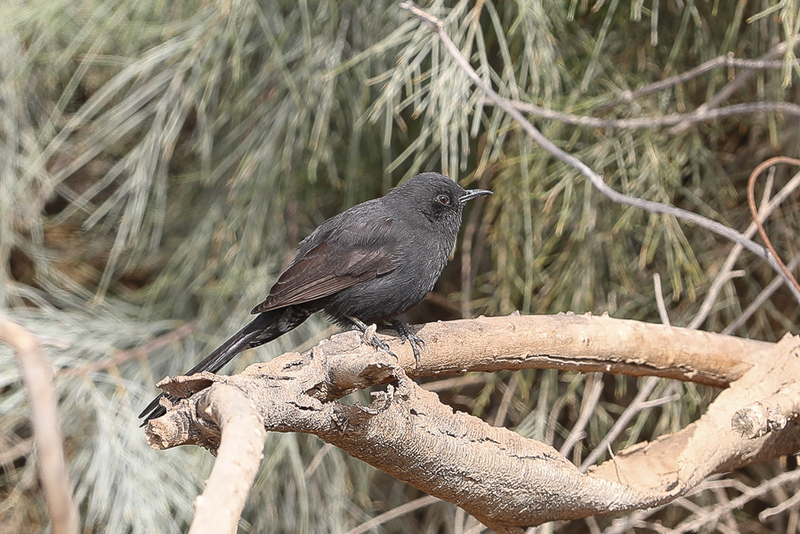 Whilst birding the Sarrar area of the Eastern Province Phil Roberts and I found two Black Scrub Robin Cercotrichas podobe a species that has only been recorded five times in the Eastern Province making this sixth record as posted about earlier. Amazingly we then found a third bird some kilometres further down the main road in some woodland around a large pivot irrigation field. After posting the first post and informing Arnold Uy he mentioned that they are commonly seen in the farms around Al Hassa so it looks almost certain they have now colonized the Eastern Province and are spreading west. It will be interesting to see how long it is until I see one in Dhahran. There current status as a vagrant to the province clearly needs updating.